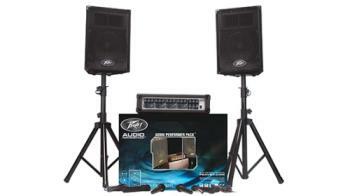 Everything needed for a PA system included in one package. Two PVi(r) 10 10" speaker enclosures. Two PVi(r) 100 dynamic cardioid microphones. Two speaker stands. Includes PVi(r) 4B mixer.